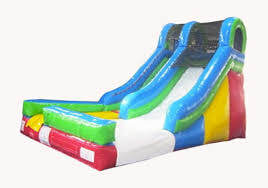 Waterslide Rentals are a great summer inflatable rental. Nothing beats sliding down into a cool pool of water on a hot summer day. 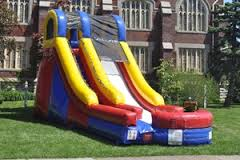 Springfield MA Bounce House Rentals is the #1 Provider of water slide rentals in the area with the lowest prices guaranteed! 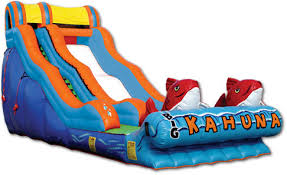 Our most popular waterslide rental is the Big Kahuna Waterslide. 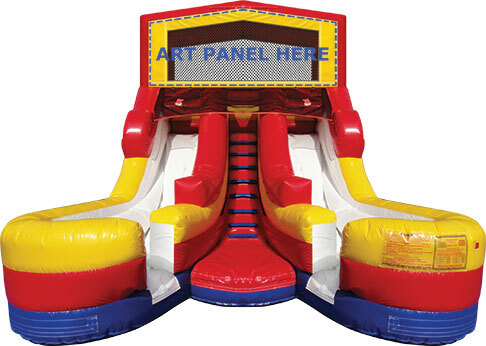 Adults and kids will have a great time on this water slide. The Big Kahuna stands at an impressive 17 feet tall and 35 feet long. 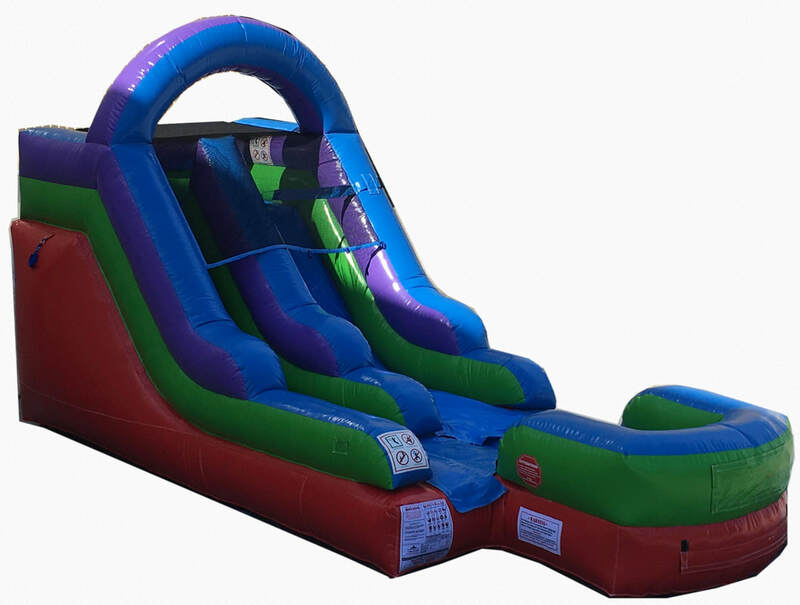 This waterslide rental is most popular for high school graduations and older kid birthdays. The younger kids will also have a great time on the slide. Make your party the envy of the neighborhood by renting the Big Kahuna Waterslide Rental. The Green Splash Water slide rental is most popular with the younger kids but the older kids at the party will still have a blast going down the slide. The Patrotic Splash is a budget friendly waterslide rental in between the Green Splash and Big Kahuna sizes. 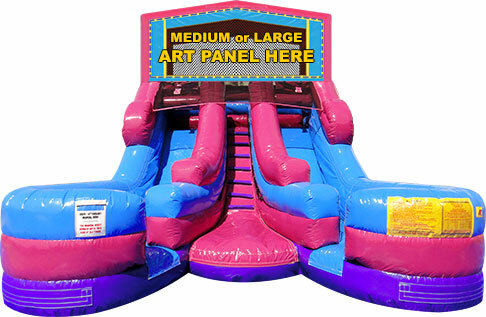 With three different size waterslide rentals we are sure to have one for your party. 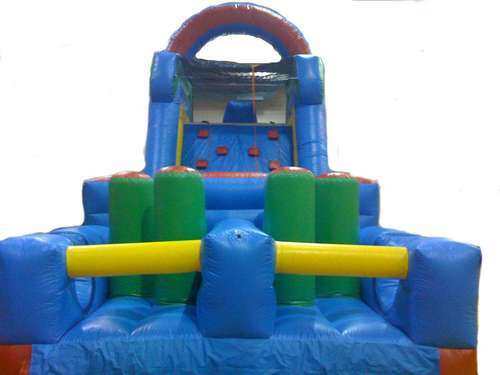 Call Springfield MA Bounce House Rentals to book yours today they sell out quick! 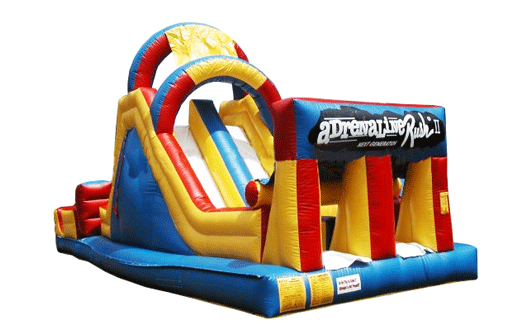 Watch your kids have a blast going through the mini obstacle course and then climbing the rock wall and sliding down the front of the slide!